The Rebel Sweetheart. 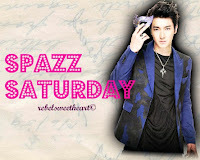 : Spazz Saturday #7 | Super Junior!!! Spazz Saturday #7 | Super Junior!!! Forget the 2013 Senatorial elections. 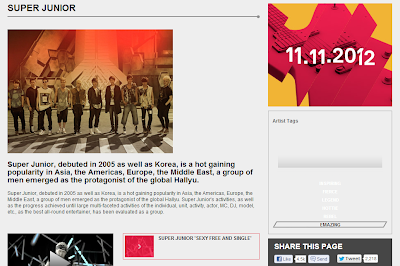 What matters most to me now is that Super Junior win the Best Asia Act in this year's MTV Europe Music Awards (EMA). They're up against other popular Asian acts, including Exile of Japan and Han Geng of China, who (quite ironically) is a former member of Super Junior. Last year, Exile was one of the top contenders for the same spot. However, Kpop still reigned supreme as Big Bang won the Best Asia Act. They went on to bag the Best Worldwide Act at the 2011 MTV EMA. This year, the MTV Europe Music Awards will be held in Frankfurt, Germany. The awards night will take place on November 11, 2012. 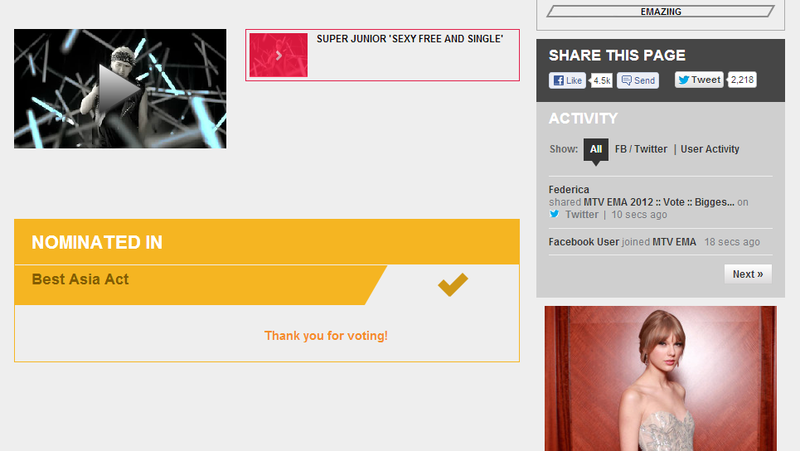 I've been voting like crazy for the past few days, and I'm hoping all my fellow ELFs and KPop fans are doing the same, too. Let's bring the boys to the top, and get them the recognition and honor they truly deserve! Vote for Super Junior here! Hey, it's Saturday! Who you spazzin' at? Wordless Wednesday #11 | Happy Halloween! Spotlight | CatalinaGeo Auto Eyebrow Pencil. Sign-Up | iPad Mini Holiday Event. Join | For the Love of Fashion Giveaway! Sign-Up | Choose Your U Event. Wordless Wednesday #10 | Chasing Butterflies. Best Cycling Tours in Vietnam. Sign-Up | For the Love of Fashion Event. Pucker Up! | Wet n Wild MEGA SLICKS™ Lip Gloss. Sign-Up | Christmas Cash Giveaway. Spazz Saturday #8 | Samsung Galaxy Note 2. Spotlight | elf All Over Cover Stick. Sign-Up | Tech Lovers Christmas Event! Sign-Up | Step2 Deluxe Art Master Desk. Join | Creating Holiday Memories Giveaway! Join | Barbie Pink Dreams Event! Foodie Goodie | Krispy Kreme, baby! Join | Tek Nek Rockin' Rider Giveaway! Spazz Saturday #6 | Nice Guy. Take Control, and Just Dance. Join | iPad3 Holiday Giveaway! Wordless Wednesday #8 | Chuseokbim! Spotlight | Urban Decay Ammo Eyeshadow Palette. Join | Carter's Watch the Wear Giveaway! Avoid Online Fraud with LifeLock! Join | $150 GC & Mixed Bag Giveaway!